About JSAE | Society of Automotive Engineers of Japan, Inc. The Society of Automotive Engineers of Japan (JSAE) was founded not long after WWII in 1947 at the General Assembly of the Society of Automotive Engineers (held on February 2) by a group of engineers imbued with the spirit to "organize a single powerful society that shall earnestly undertake automotive engineering, create many excellent automobiles, and devote all our energy to the invention of progressive new vehicle models." In June of that same year the Society was sanctioned as a corporation by the Ministry of Education (the present Ministry of Education, Culture, Sports, Science and Technology, MEXT), the Ministry of International Trade & Industry (the present Ministry of Economy, Trade and Industry, METI) and the Ministry of Transport (the present Ministry of Land, Infrastructure, Transport and Tourism, MLIT) with the objective of, "to advance and develop sciences and technologies in connection with automobiles, whereby the Society will contribute to the promotion of sciences and culture, the progress of industry and economy, and improvement of the quality of life of the people." 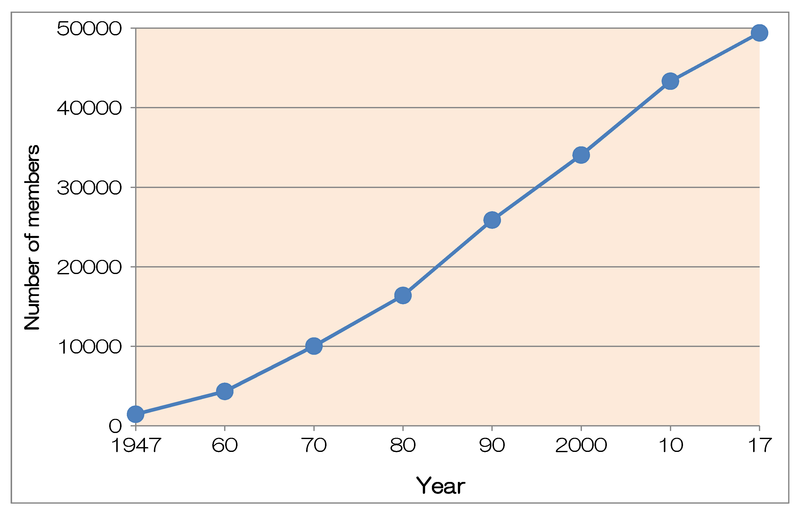 In the beginning the number of Society members was only 1,500, but this number increased steadily along with the dramatic development of Japan's automobile industry, and currently membership has swelled to over 50,000 members, and the JSAE has grown to become a leading scientific society in Japan. Furthermore, the JSAE is also actively carrying out activities overseas as an influential member of FISITA (International Federation of Automotive Engineering Societies) and APAC (Asia Pacific Automotive Engineering Conference).